In the 1860s, Phil McGrath’s great-grandfather emigrated from Ireland to California, where he met his wife, also an Irish émigré. 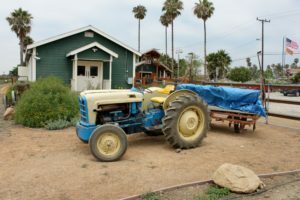 They farmed first in the hills of Berkeley before moving to the Oxnard area, completing a ranch house in 1879 and eventually amassing 1,250 acres. The next generation accumulated 5,000 acres, but split the acreage in 1948 between the family members, and afterward lost substantial acreage to eminent domain proceedings. McGrath’s grandfather ended up with 1,200 acres, which was divided amongst his four children, netting McGrath’s father 300 acres. 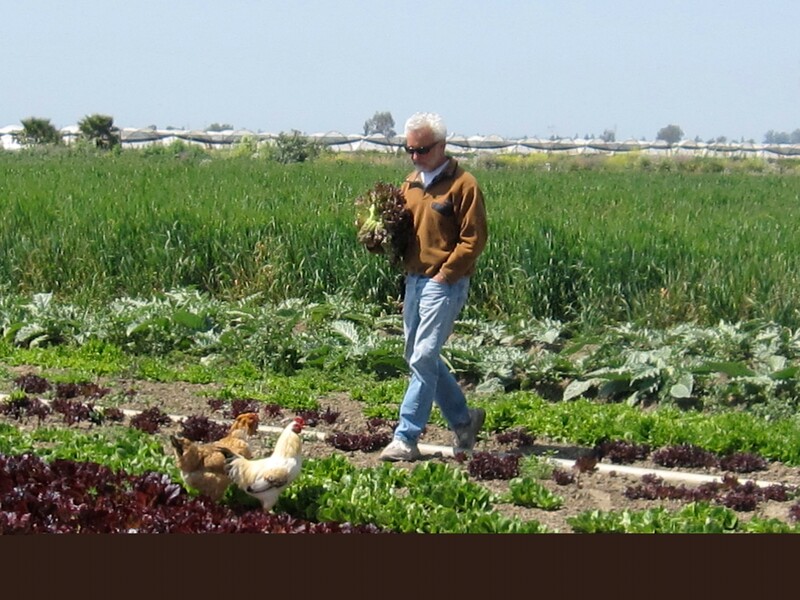 Today, McGrath Family Farm covers 30 acres on two contiguous ranches where they grow tomatoes, celery, mixed lettuce, broccoli and cauliflower in the Seventies. In the Eighties and Nineties, McGrath changed his business model to focus on direct marketing. 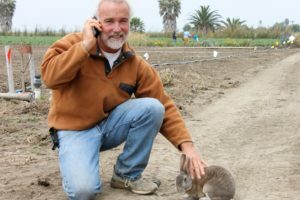 McGrath Family Farm now has four revenue streams: its roadside market, farmer’s markets, restaurant delivery and Community Supported Agriculture (CSA) program. The operation has been organic since 1995. Legumes, including peas and fava beans, are McGrath Family Farm’s biggest crops. The farm also grows strawberries, flowers and a variety of vegetables such as carrots, beets, onions and turnips. As water is scarcer and prices have risen, McGrath Family Farm has pursued strategies to increase its water use efficiency. The farm also experiments with different insect control and compositing techniques that compliment an organic production system. Fuel costs are also a major expense and using petroleum-based fuels causes the family concern for the environment. McGrath Family Farm has converted to drip irrigation on about half of its acreage. The remaining irrigation is via sprinkler pipe and furrow irrigation systems. “Our water usage has gone way down, but our water costs have gone way up. Thank God we are using drip because I am paying four times more [for water] than I used to about four years ago,” said McGrath. To help him gauge the moisture in the soil, McGrath has installed three tensiometers on the farm’s three blocks of strawberries, a particularly sensitive crop for which McGrath needs the detailed information. Reports from the tensiometer readings come into McGrath’s phone and computer. “You can keep your thumb on the pulse of the soil with the tensiometer reports,” he said. He believes they could be particularly advantageous to cope with unexpected downpours, preventing unnecessary water use and over-irrigation. McGrath Family Farm has two wells on its property. Over the last two years, the farm has replaced one and refurbished the other. They have sand filters and salt neutralizers called sulfur burners. McGrath explains, “Sulfur will neutralize the salt, so the water is better for the soil.” McGrath dedicates eight acres to managing a compost facility. The compost is formulated with green waste sourced from Ventura and Los Angeles counties. He has hired a manager to be in charge of the composting, and the manager sells him the compost at a discount. In the past, the compost was the product of coffee grounds from The Coffee Bean & Tea Leaf and paper mulch from Procter & Gamble. Due to regulations regarding processed food waste in compost, McGrath says coffee grounds can no longer be turned into compost, which he considers a shame because it created excellent compost. McGrath has shifted to biodiesel to temper fuel costs and improve his care for the environment. Roughly a decade ago, McGrath begun to hear a lot about biodiesel. Because he was delivering to restaurants, restaurant owners offered him their used vegetable oil. Now, McGrath Family Farm’s ten tractors run on a 50/50 blend of veggie based fuel and diesel. “It takes [fuel costs] down, and I’d rather run on plant-based fuel than a fossil-based fuel,” he said. To reduce insect damage to his crops, McGrath has sought out beneficial insects. He employs persimilis for strawberries and ladybugs, among other insects. In addition, McGrath Family Farms is part of a study by University of California, Berkeley professor Gordon Frankie on native bee populations. Eight months or so ago, he set up what he dubs an island made up of some 15 kinds of plants on the edge of one of McGrath Family Farm’s fields to attract native bees. During a recent assessment of bee activity resulting from the island, Frankie determined it is showing extremely good results. “He can’t believe all the new bee varieties,” said McGrath. McGrath is a huge proponent of in-season produce. “Something that organic farmers should be very proud of is growing things in-season. The plants are healthier. They can take more stress. The crop tastes better and is cheaper,” he said. McGrath Family Farm educates consumers about produce seasonality on its website, and invites them to take tours of the farm and to participate in its popular U-pick program. McGrath emphasized that cost is the primary obstacle to trying new technologies. He pointed out the used equipment for his soil tensiometers cost $8,000. He might consider drones, but he said their cost is prohibitive. Furthermore, McGrath asserted new sustainability initiatives often don’t go perfectly at the outset. Patience is required to see them through to success. Specifically, he mentioned his tractors didn’t take to biodiesel right away. “I had to put in a new injection pump on one and redo the fuel system on the other. They adapt and get used to it,” said McGrath. As the cost of inputs rise, McGrath is forced to pass on the increased costs to his consumers in the form of higher produce prices. So far, they’ve accepted the elevated prices. “I raised my prices drastically this summer and people are still buying,” said McGrath. Over the last 20 years, McGrath estimates McGrath Family Farm has cut its water usage one-third to one-half while still increasing yield. The farm has also cut fuel usage and costs by switching to biodiesel. The farm is working out the kinks in its sulfur burners, but McGrath underscored they do improve the water coming from the wells.